In his State of the Union speech Barack Obama warmed Democratic hearts by calling for an increase in the federal minimum wage to $9 an hour, and indexation of the wage to inflation. Predictably, an op-ed battle immediately sprang up, with half of the commentariat arguing that a higher minimum wage would simply hurt low-skill workers seeking a job (and some adding that wage subsidies would be a far better option) and the other half arguing that higher wages at the bottom of the income spectrum are long overdue. Mr Klein argues that a minimum wage is like a proxy labour union; sure it may have some employment effects, but it effectively raises the wage bargaining power of those workers who do manage to find employment. In the absence of such bargaining power, we can’t expect any meaningful increase in wages at the low end of the income spectrum. America’s academics still do not agree on the employment effects. But both sides have honed their methods and, in some ways, the gap between them has shrunk. Messrs Card and Krueger moved on to other work, but Arindrajit Dube at the University of Massachusetts-Amherst and Michael Reich of the University of California at Berkeley have generalised the case-study approach, comparing restaurant employment across all contiguous counties with different minimum-wage levels between 1990 and 2006. They found no adverse effects on employment from a higher minimum wage. They also argue that if research showed such effects, these mostly reflected other differences between American states and had nothing to do with the minimum wage. Messrs Neumark and Wascher still demur. They have published stacks of studies (and a book) purporting to show that minimum wages hit jobs. In a forthcoming paper they defend their methods and argue that the evidence still favours their view. But even they are no longer blanket opponents. In a 2011 paper they pointed out that a higher minimum wage along with the Earned Income Tax Credit (which tops up income for poor workers in America) boosted both employment and earnings for single women with children (though it cost less-skilled, minority men jobs). Britain’s experience offers another set of insights. The country’s national minimum wage was introduced at 46% of the median wage, slightly higher than America’s. A lower floor applied to young people. Both are adjusted annually on the advice of the Low Pay Commission. Before the law took effect, worries about potential damage to employment were widespread. Yet today the consensus is that Britain’s minimum wage has done little or no harm. The most striking impact of Britain’s minimum wage has been on the spread of wages. Not only has it pushed up pay for the bottom 5% of workers, but it also seems to have boosted earnings further up the income scale—and thus reduced wage inequality. Wage gaps in the bottom half of Britain’s pay scale have shrunk sharply since the late 1990s. A new study by a trio of British labour-market economists (including one at the Low Pay Commission) attributes much of that contraction to the minimum wage. Wage inequality fell more for women (a higher proportion of whom are on the minimum wage) than for men and the effect was most pronounced in low-wage parts of Britain. 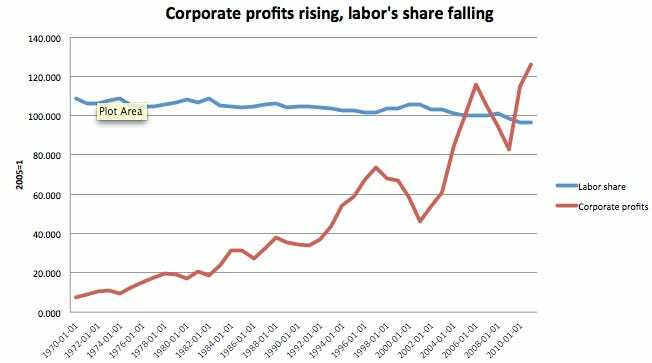 In sum, the employment effects we’d expect if labour-markets were perfectly competitive don’t emerge. That’s because there is some monopsony power to labour markets, associated with frictions like the cost of searching for new jobs. Those frictions give employers a bargaining-power advantage that a minimum wage can in some cases counteract. Further, minimum wage increases may give both workers and employers an incentive to raise their productivity levels in order to preserve jobs: people work harder to justify the higher wage. That helps explain why minimum wage increases can influence pay higher up the income scale. That dynamic—that higher minimum wages often have less of an employment effect because they cause workers to exert more effort—is also something that left-leaning supporters of higher minimum wages should take into account. 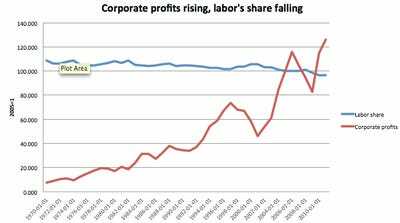 One thing that should seem clear is that the search frictions that give rise to low levels of employer monopsony power are not at all sufficient to explain the extraordinary surge in capital’s income share. For that we probably need to point to technology, which has substantially increased labour-market competition for many low- and medium-skill tasks. Interesting new economic work is modelling a world in which offshoring and automation are often substitutes, and a firm’s choice to employ local workers, offshore, or automate is determined by both relative productivities and relative costs. The implication of this work is that some labour-market segments are likely to show more of an employment effect than others. In occupations consisting of mostly routine work, it will be very easy for an employer to respond to higher costs by moving the job elsewhere or swapping in a machine. Think of check-out clerks. While many retailers have invested substantially in automated check-out, others have not, presumably because the cost difference between human and robot is not yet big enough to justify the change. It seems very probable that higher minimum wages will in some cases tip that balance. In other segments, consisting of much less routine work, one would expect less of an employment effect—maybe none, for modest increases. That doesn’t necessarily mean that the minimum wage increase would be entirely benign, however. It’s possible that displacement from routine-task occupations could increase competition for non-routine-task occupations. That may push down wages in some cases (where wages remain above the minimum wage), and raise joblessness in others. The latest research suggests that a carefully imposed minimum wage (and I would consider Britain’s carefully imposed, and one indexed to inflation carelessly imposed) can raise incomes at the bottom of the wage spectrum without much reducing employment. But a higher minimum wage is neither a sufficient or a particularly germane response to labour-market polarisation and capital’s rising income share. The problem is simply that the supply of people and robots available to do routine work is exploding. A proper response to this dynamic must either be a big change in relative skill supplies or relative productivities, or a move toward wage subsidies that are far larger and broader than have been considered in the past.